Size: Large, Length: 29.5", Inseam: 32" - 36"
Size: Medium, Length: 26.5", Inseam: 27" - 33"
Size: Small, Length: 23", Inseam: 25" - 28"
Stabilizes the knee in full extension. Shaped to provide space behind the knee, even at full extension. 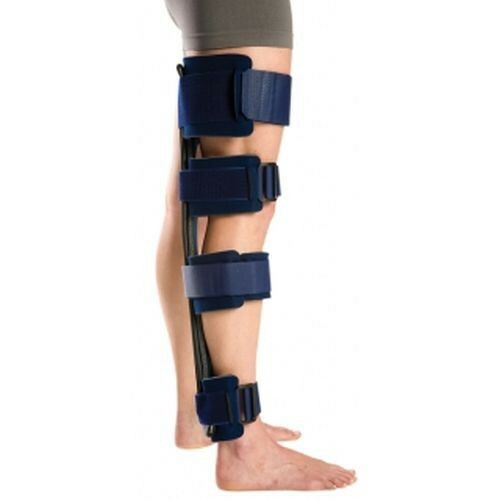 May be used with the Knee Cryo/Cuff to add the benefits of cold and compression.